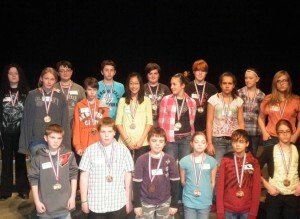 The District Spelling Bee was held on February 20th at the Centennial Auditorium in Staples. Schools participating are representatives of Staples Elementary, Sacred Heart School, and Motley Elementary and Middle Schools. Students participating have accomplished winning spelling bees in their schools in order to be in the District Spelling Bee. This year’s Champion is 8th Grader, Cade Bestland and 2nd place went to 8th Grader, Anna Norreen. Fifth grader, Ryan Wick (row 1, second student) and Sixth grader, Jack Benson(row 2, second student) did a wonderful job representing Sacred Heart Area School in the Bee. 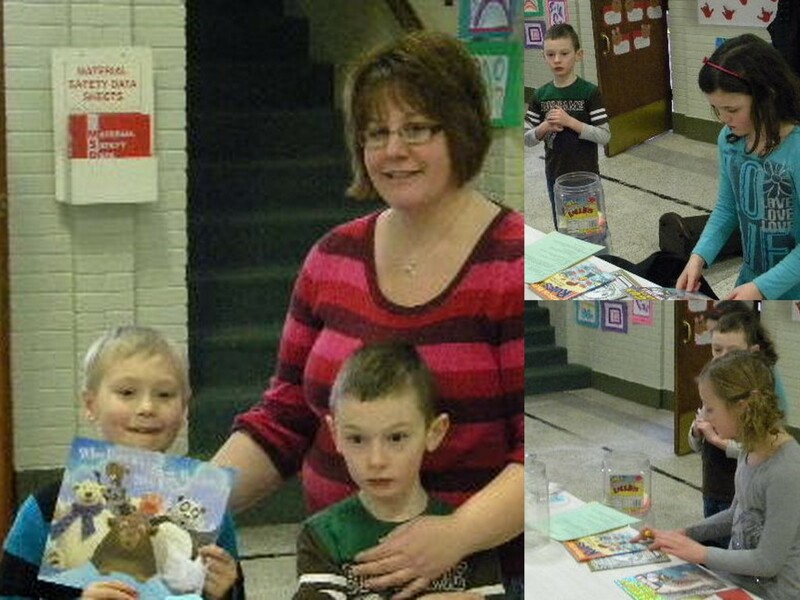 February is “I Love to Read Month”. We are encouraging student reading with creative celebrations of children’s literature and providing reading incentives. As the month progresses, families and visitors to SHAS will see our school bookworm grow on the walls of the gym. Each time a student finishes reading a book, they will add a body segment with their book’s title to the bookworm. We ask parents to especially encourage a love for reading with your children this month. As part of school wide incentives for the sales of carnival raffle tickets, SHAS students were awarded a… teacher/student Olympic event on February 14th, from 12:00-12:45pm. 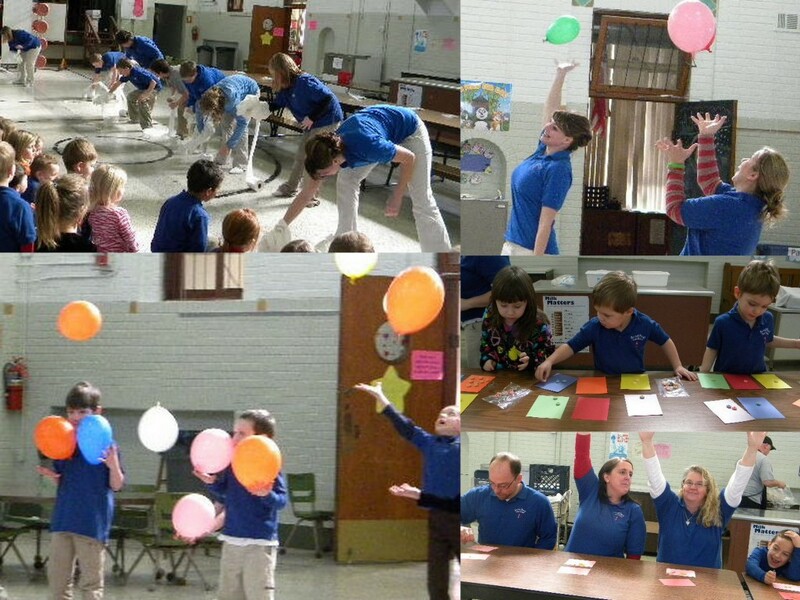 Teachers and students competed individually by grade level with Minute-to Win-it competitions such as, transferring or ordering objects the fastest, keeping balloons afloat the longest, and toilet paper unrolling the quickest to name a few. 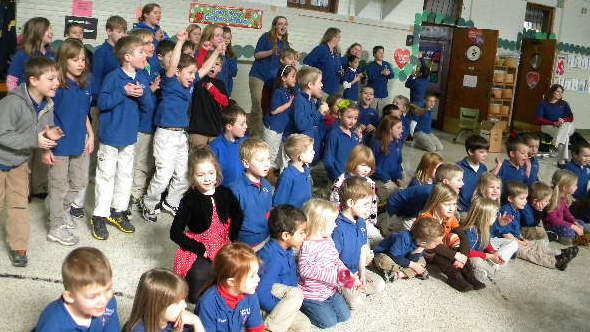 The crowd went wild as all students and staff had the opportunity to participate. 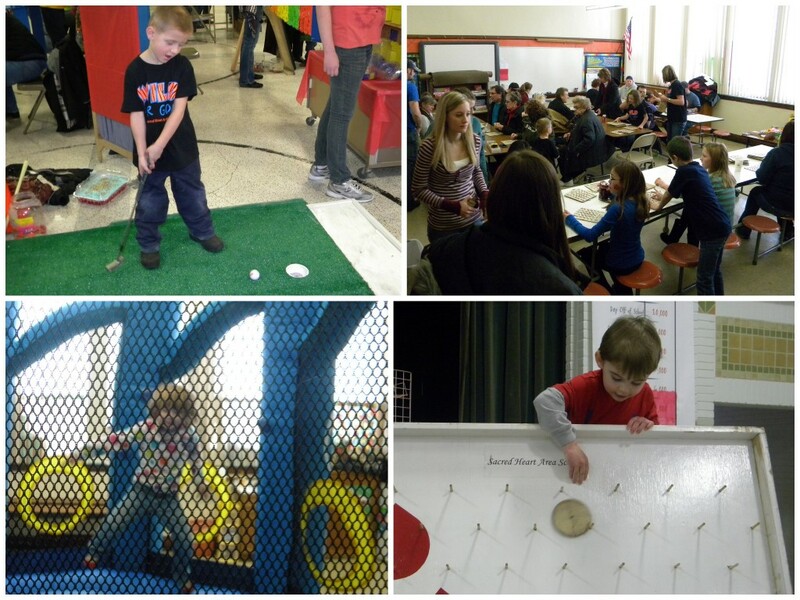 Sacred Heart Area School’s annual carnival host dozens of games and activities for the young and old, from the Cake Walk and Bingo to the Moon Bounce and Golf. 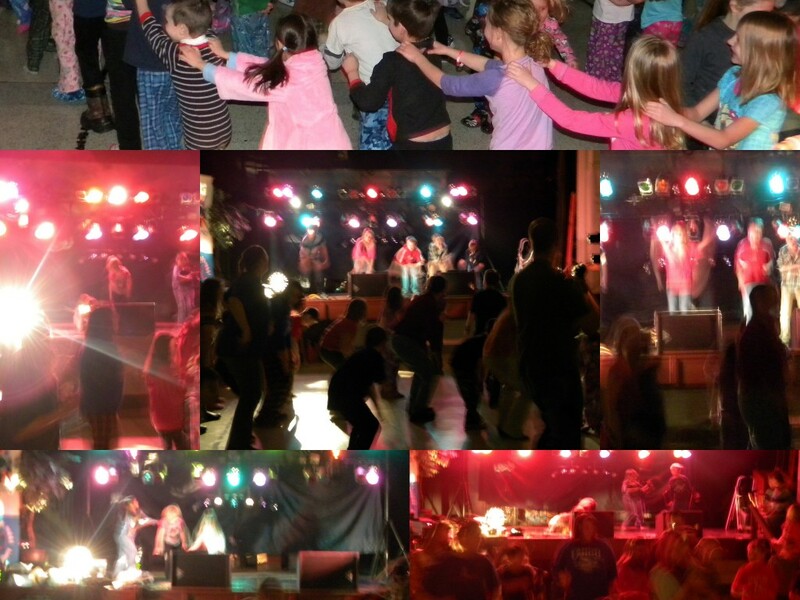 The purpose for the event is for both entertainment and fundraising for the continued operation of the school. The school families also put on a dinner on this day in the church basement as well. The finally of the carnival is the raffle drawing from the thousands of tickets sold by school families in the previous weeks. 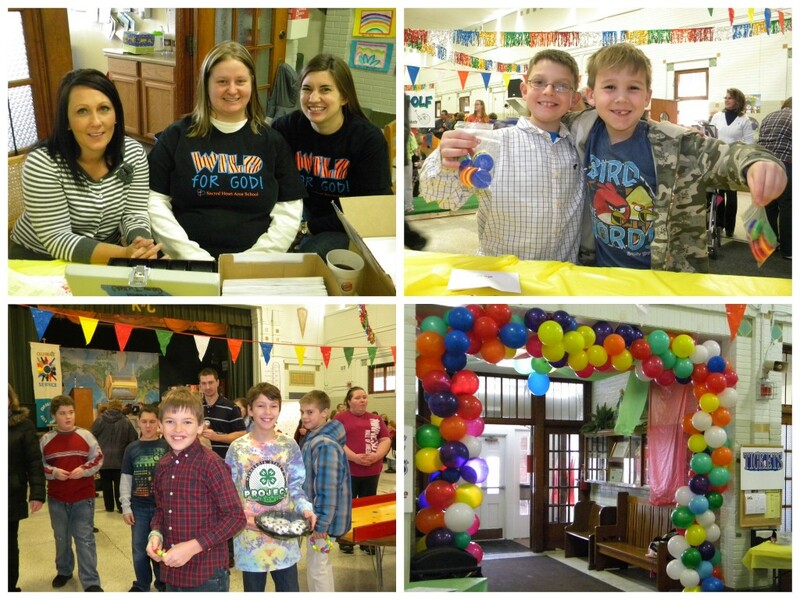 The February 2013 carnival “Wild About God” raised $22,000 net profit for the school which included $17,400 in raffle tickets. We want to especially thank our Carnival Chair, Tricia Jasmer and Dinner Chair, Denise Brown for all their work and organization. The 2013 Carnival had some new and innovative changes including tokens as game prizes, which children could use in the prize store, and $2 raffle tickets which made the selling, filling out, tracking, and drawing of the tickets considerably easier for everyone. The event also had some new and exciting games such as Angry Birds and Bowling. The carnival is a great opportunity for friends and families to get together with work and play, building relations and providing for their school’s mission. 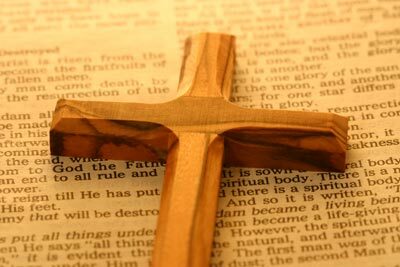 During the week of Catholic Schools Week students have fun theme days, such as; dress up like your parents day, camouflage day, and crazy hat day. 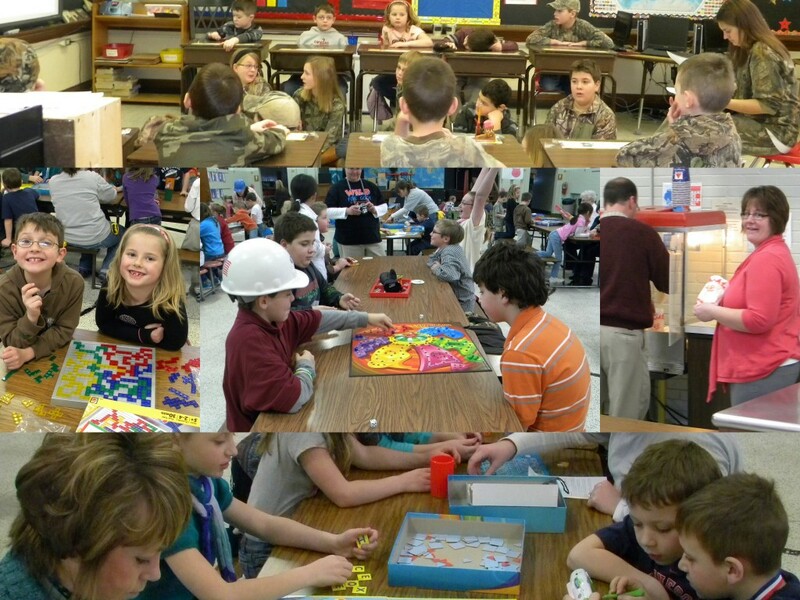 Students also participate in fun, out of the ordinary activities for approximately a half hour each day, such as; playing Jeopardy between grade levels, or playing board games with parents and staff.